After growing up on a farm in Wisconsin, Hubert 'Nick' Knilans was drafted into the United States Army in 1941, although he obtained a deferral to help with the harvest. Life in the infantry was unappealing, but Knilans lacked the college education needed for pilot training in the US Army. Instead, in October, 1941, he crossed the border into Canada, and enlisted in the RCAF. After initial flying training in Canada, Knilans was sent to the UK to carry out multi-engine training. In 1943 he was posted to No.619 Squadron, at RAF Woodhall Spa, as a pilot flying Avro Lancasters. After two trips as a second pilot, he commanded his first operation on the night of 24/25 July, 1943, in the opening operation of the Battle of Hamburg. In November, 1943, Knilans was transferred to the USAAF, as a 1st Lieutenant. He was immediately detached to return to No.619 Squadron to carry on with his tour, arriving in time to join the Battle of Berlin. Back at Woodhall Spa he discovered that his USAAF 1st Lieutenant's pay was roughly the same as the RAF Group Captain who commanded the station. [The DSO] was the only one I wore while on duty. I was entitled to Canadian, British and American medal ribbons but did not wear them. I thought it would antagonize others on the same squadron, or confirm their prejudice about bragging Yanks. That was another reason that I did not want a scantily clad girl or a humorous name painted on the aircraft assigned to me. This flying into combat night after night, to me, was not very funny. It was a cold-blooded battle to kill or be killed. In February, 1944, Knilans transferred to No.617 Squadron, who had just arrived at Woodhall Spa. They already contained Flt Lt Joe McCarthy, another American who had crossed to Canada to enlist in the RCAF. In May, 1943, he had led the element of the squadron tasked with breaching the Sorpe Dam, receiving the DSO for his actions. With No.617 Squadron Knilans conducted pathfinding and pin-point bombing operations over occupied Europe. In April he completed his first tour of operations, but, with the agreement of his crew, they launched straight into their second tour with the same squadron. On the night of 5/6 June, 1944, after a month's intensive training, Knilans took part in Operation Taxable. 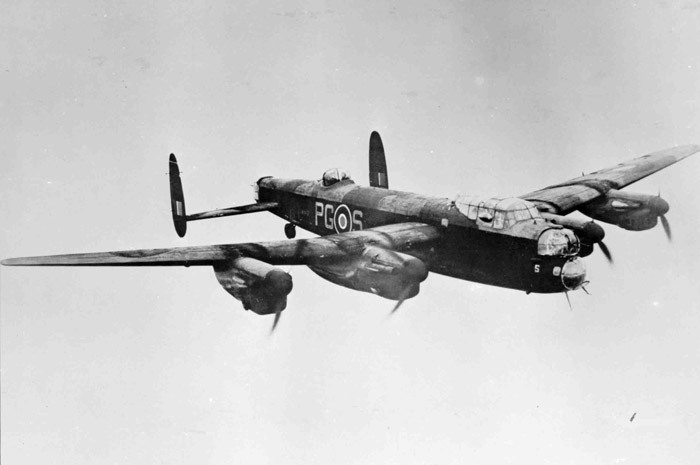 The Avro Lancasters of No.617 Squadron flew in a low pattern over the English Channel dropping 'Window', which showed as a large blob on German radar screens. They were to the north of the Allied invasion fleet, and further north still, the Short Stirlings of No. 218 Squadron did the same in Operation Glimmer. This way, not one but three fleets appeared on German radar screens, keeping them guessing as to where the real landings would be made, and forcing them to keep their forces spread out. Eight crews would fly for four hours. Eight more would take their place for another four hours... The pilots would have to some precision flying. Each plane would fly thirty-five seconds on course, make a controlled turn and fly a reverse course for thirty-two seconds. Then a slow turn back on the firth course while throwing out some more Window. I would be starting the original course slightly ahead of where the previous lot dropped into the water. Thus, there would be no interruption of blips on the German radar. I had to fly at 200 mph in a series of circles that carried me forward at only eight mph. I would have to do this for two hours before a second pilot would take over. 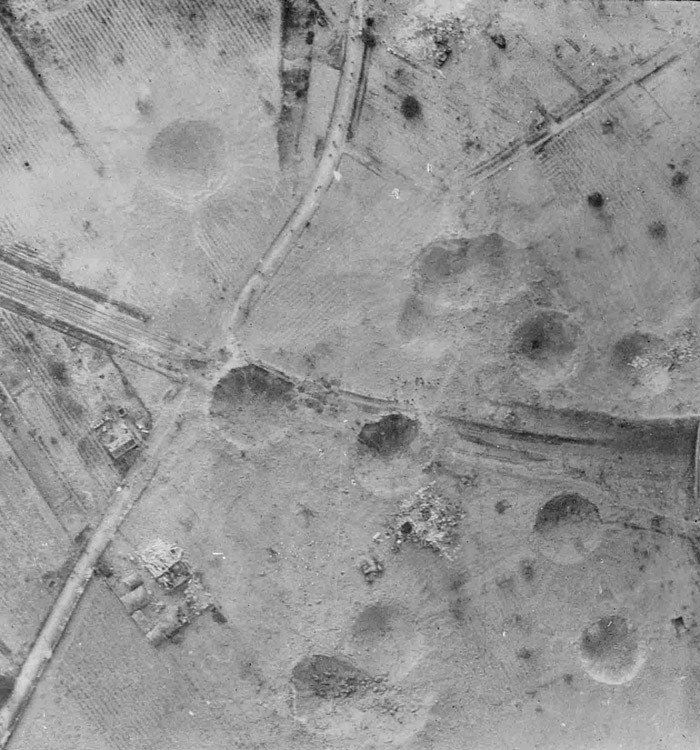 Three nights later No.617 Squadron were dropping 'Tallboy' 12,000lb bombs on the railway tunnel at Saumar, and this operation was followed by many more over the coming months on railways and other communications routes, hampering German efforts to bring reinforcements into Normandy. 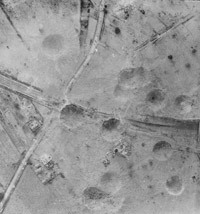 Knilans 50th, and last, operation was on 15 September, 1944. Operating from bases in Russia, Nos. 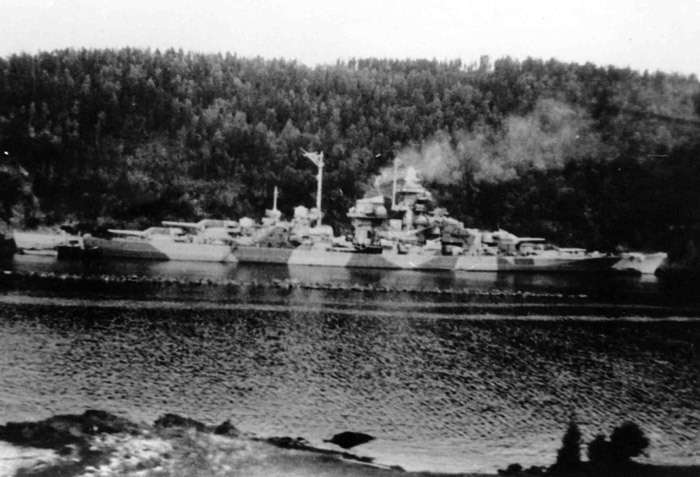 9 and 617 Squadrons attacked and, although not known at the time, fatally damaged the German battleship Tirpitz in Kaa Fjord, in northern Norway. With two tours with Bomber Command completed, Knilans returned to the USAAF. He volunteered to fly in the Pacific, but the war ended before he could be redeployed. After the war, he retired from the USAAF as a Major, and became a teacher in California. After twenty five years, including two years as a Peace Corps Volunteer in Nigeria, he retired in 1978.